The event will take place at this link. The streaming video will go live at the scheduled event time, but you’re invited to pop in early to leave your questions for Jess in the comments section. A WriteOnCon.org account is required to leave comments, but they’re free to make. Again, these events are completely free, so we welcome you to check it out! Fantastic! If we can’t make it for the live event, will a recording be available after for anyone or for those who’ve purchased conference admission? Yes! It will be available just like the other early live events are. Thank you for a lot. I hope I can enjoyed this processing. Hmmm. I still can’t find the link to the replay. Can you help? 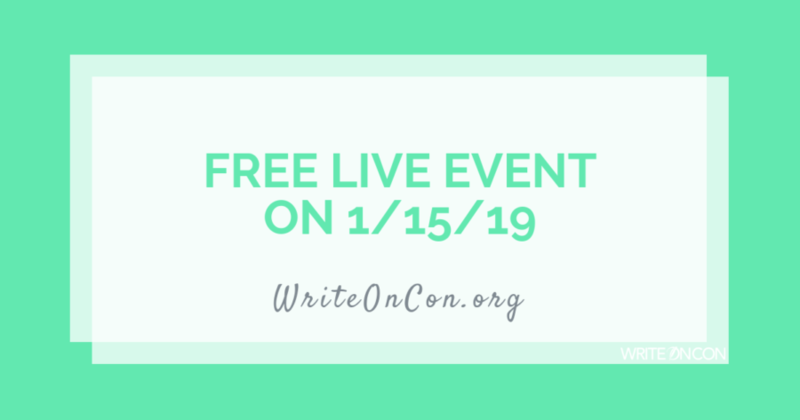 Hi – I went to the last link posted (https://www.writeoncon.org/free-live-event-author-branding/), but it doesn’t look like the video is there – does anyone know if there is a new URL? Hi Michael! This event has been moved into the official conference schedule, so the link will go live on Friday at 5:30 PM EST.